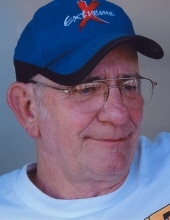 Jerry Stanford, 72, of Spencer passed from this life into Glory March 29, 2019 at his home. He was born December 19, 1946 in Oklahoma City to Virginia Stewart, and Ralph Stanford. He worked at TG&Y as a service manager for 16 years, also sold auto parts at Napa for 25 years. He loved to work on racecars. Family was the most important part of his life, and he loved to watch the grandkids play ball, cheer, dance, and show livestock. He was preceded in death by his grandparents, his parents, and his brother Jack. He is survived by his wife Mary of the home, daughters, LaReeca Gray of Nicoma Park, Cheryl and Gene Thomas of Choctaw; Grandchildren, Danielle and Anthony of Choctaw, Randi and Dalton of Moore, Charli and Drew of Choctaw and Hank Allen; Great-grandchildren Weston, Wyatt and Malachi; Sisters Judy and Jerry Ennis of Edmond, Janet and Jim Merrit of Moore. Also numerous family members and close friends. The family would like to thank the caretakers from Physician’s Choice Hospice for the excellent care they gave in his final days. A memorial service will be held at 11am on Friday April 5th, 2019 at Bible Baptist Church in Choctaw, OK.
To send flowers or a remembrance gift to the family of Jerry Stanford, please visit our Tribute Store. "Email Address" would like to share the life celebration of Jerry Stanford. Click on the "link" to go to share a favorite memory or leave a condolence message for the family.